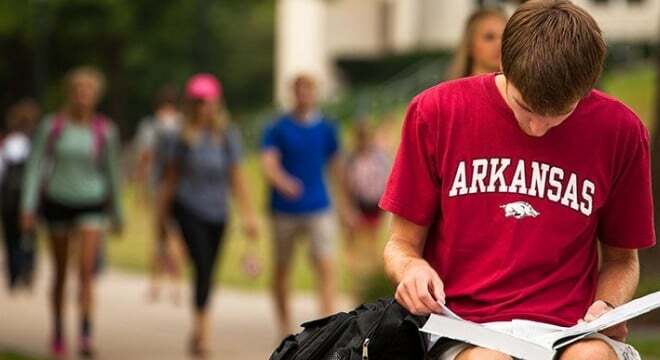 With a full semester of the state’s new campus carry law in the rear view colleges and universities in Arkansas have little trouble to report. Officials with Arkansas State University, the University of Central Arkansas and the University of Arkansas, Fayetteville, explained to lawmakers that the once-controversial new law trimming gun free zones at state-funded colleges and universities for those with a carry permit hasn’t created problems on campus. “We have not seen an issue yet on campus — I’m gonna knock on some wood here,” said Capt. Chris Bentley of the University of Central Arkansas Police Department. The state adopted Act 562 two years ago, prompting 30 pages of proposed rules for the new program drafted by the Arkansas State Police last October. The Arkansas Legislative Council then approved the state’s contentious new enhanced concealed carry program, which mandates increased training to carry in more places. Under the aegis of the program, applicants for an Arkansas CHL could opt for an enhancement granted after 8 hours of additional training including a graded live-fire course that would enable them to carry their handgun on the campus of a public university, college, or community college in the state as well as some other areas currently off-limits to CHL holders. Neighboring Mississippi, a constitutional carry state, has a similar optional enhanced carry endorsement which, after training from a certified instructor, drops the types of gun free zones where a licensed CCW holder is excluded from bringing a gun. University of Arkansas Chancellor Joseph Steinmetz points out that, while Act 562 will allow campus carry, it only applies to those with the enhancement, only covers concealed carry, and that other state laws prohibit the storage of guns in university facilities including residence halls. However, they may be stored in locked unattended vehicles on campus. According to the National Conference of State Legislatures, 10 states allow the carrying of concealed weapons on public post-secondary campuses. Similar to the news from Arkansas, Texas in 2017 reported few problems after campus carry came to the Lone Star State while costs of implementing the new standard proved less than schools had forecasted.